What's going on here is about more than money. Ola co-founder Bhavish Aggarwal is fighting to maintain his independence against SoftBank Group Corp. The Japanese conglomerate, led by Masayoshi Son, was an early backer of Ola, but Aggarwal has grown concerned about its influence as SoftBank took a stake in his archrival, Uber Technologies Inc., and then encouraged the rivals to merge. Aggarwal avoids gatherings with Son and his portfolio companies when he visits India, according to people familiar with the matter. Aggarwal, for example, was missing from a meeting of SoftBank-backed founders when a delegation including the Saudi Crown Prince Mohammed Bin Salman visited a few weeks ago, the Economic Times reported. Saudi Arabia contributed nearly half of the capital for Son's $100 billion Vision Fund. Aggarwal has said he declined SoftBank invitations only because he doesn't visit New Delhi, according to one person familiar with the matter. Aggarwal has also gone to the founders of India's Snapdeal for advice on managing SoftBank, the people said. SoftBank invested in the e-commerce startup about five years ago and then tried to push the founders to sell out to a larger rival, Flipkart. When Snapdeal refused the deal, Son switched allegiances by stopping further investment in the company and put $2.5 billion into Flipkart. Son was an early champion of local ride-hailing startups in Asia. He backed Anthony Tan's Grab in Southeast Asia and Cheng Wei's Didi Chuxing in China, in addition to first investing in Ola in 2014. The relationship between Son and Aggarwal was a warm one early on. "He is inspiring and aggressive and a visionary. He is making history,' the Indian entrepreneur told one newspaper. Yet as the two sides worked to finalize the agreement, SoftBank held talks to invest in Uber - and Aggarwal grew more wary of the impact on Ola. Uber and Ola are bitter rivals in India, competing for customers and drivers, and have essentially split the market. Aggarwal sought conditions to assure his control, including a clause that founders would have veto rights over the appointment of any new CEO. Talks stalled as SoftBank resisted. Aggarwal found himself fighting for control of his company. Ola had modified its corporate bylaws so any sale between investors would need approval of the board - effectively blocking the Tiger-SoftBank transaction. Aggarwal also knew that he couldn't take more money from SoftBank; the preliminary $1.1 billion deal died after six months when the two sides couldn't reach a compromise. Meanwhile, Aggarwal appears to be girding for a future onslaught. He's collecting cash and hoarding what he can. 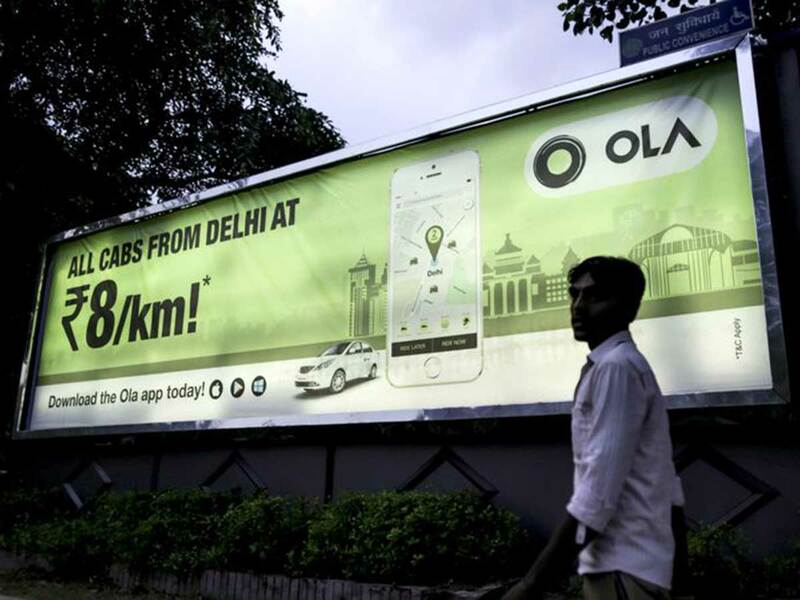 Ola has become more prudent with its spending, cutting incentives for drivers and trimming subsidies for both ride-hailing and food-delivery businesses. If he expects Uber - and SoftBank - to come after him again, he'll need all the money he can to protect his business. "It's a good strategy," said Pai, the venture capitalist.